As part of the wireframing work on my UXD course, I really wanted to try out OmniGraffle as I had heard so much about it. Problem being I have a PC laptop, and OG is a Mac OS X only application, which is fair enough. I did used to have a Macbook Pro, but when it needed replacing I opted for an HP Envy 15 laptop, that at the time had the latest Intel Haswell i7 processor, a nice discrete GPU, 16GBs of RAM, USB 3 ports, HDMI and a touchscreen that I use precisely never. I've also swapped out the 1TB hard drive for a top notch OCZ Vertex 4 SSD which is small (256GB) but mighty fast. Now all that cost £999 back in the day, which for a PC laptop is a hefty pricetag. However, the Macbook equivalent would be at least another £1,000 - £1,500 on top. For what? OS X, a better quality chassis, yes a nicer experience, but at that price I'll stick with the cheaper option until (hopefully) a job demands it and justifies the cost. So, how to get the best of both worlds - can I put Max OS X on my laptop to 'try before I buy' without ruining it and/or my sanity? The first thing to make clear is that I didn't want to make a full on Hackintosh, which is where you properly try to turn your PC in to a Mac, which is fraught with endless complications and is so risky, it's just not worth it. The better option by far is to use a virtual machine. This route was recommended to me many times, but I had never looked in to it. A virtual machine (VM) is essentially a safe sandbox that runs just like a program, all it takes up is RAM and hard drive space (instead of proper resources an operating system normally needs) and any tinkering you do with it has no effect on your PC - it's safe to try and run OS X! The main piece of 'virtualisation' software is made by Oracle - i.e. respected, not dodgy and scary - and it's free. After some minor obstacles, I found the process fairly straightforward, and a couple of course-mates expressed an interest so I thought I'd offer my guide for how I did it. A little bit command line work is required, but it's not tricky and just involves repeating steps from a guide. I'm somewhat used to this kind of technical stuff, if you're not then read through the guide before doing anything to judge if you want to do it. Also a bit of small print, these are the steps I did for my particular laptop. I'm afraid there'll always be individual things for each system setup that may be different. Usually a bit of searching with the apt terms will put you right again. 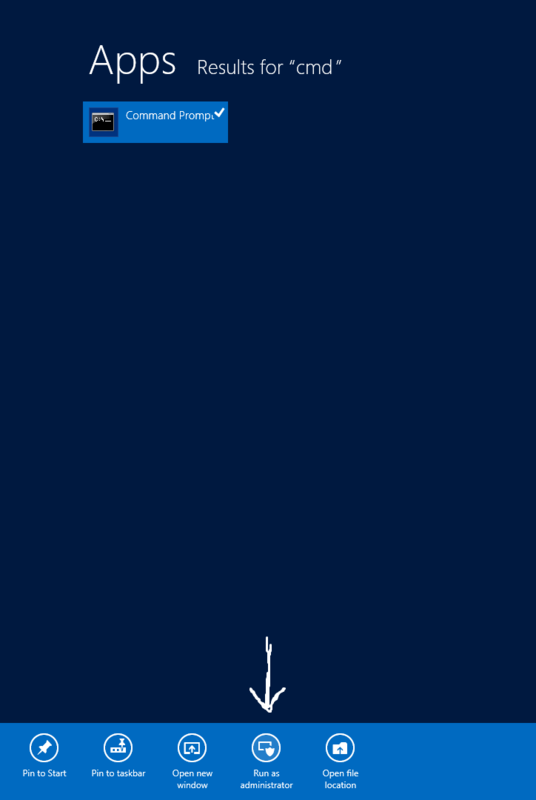 Step 1 - ensure your computer allows virtualisation. This is the only setting I had to change in my BIOS (that thing you press Esc or F8 or something to enter when your computer is booting up). I think in Windows 8 there's a nice way to reboot in to your BIOS, but I couldn't find it. Doing this isn't dangerous or tinkering with anything per se, and you may already have it enabled. The BIOS can seem dangerous, but you'll just be changing one option from No to Yes (each BIOS interface/menu layout is different, so you'll have to follow your nose). 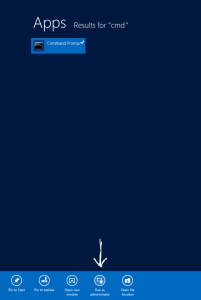 I didn't realise I had to do this at first, and so it was the first hurdle I hit when I tried to launch VirtualBox, which wasn't a great start! Step 2, your main walkthrough guide. This page (http://www.macbreaker.com/2015/01/virtualbox-yosemite-zone.html) is the main guide I followed. 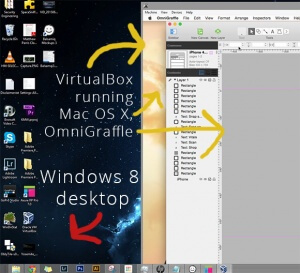 It takes you through all the requirements of getting VirtualBox and the Mac OS X file, of some of the pitfalls and how to do it. Some of my steps varied which is why I'm posting this guide. So long as you have a spare 4GB of RAM, and 20GB spare of hard drive space, you can probably run this just fine. Unzip the file and download using uTorrent or whatever app you prefer. Warning: the ISO image is 5GB big, so be prepared to wait for the download, and ensure you have enough space. Warning 2: If you have an AMD CPU processor, then it's worth doing some searching to ensure you know which OS X ISO to download, as I believe it needs to be a slightly different flavour. 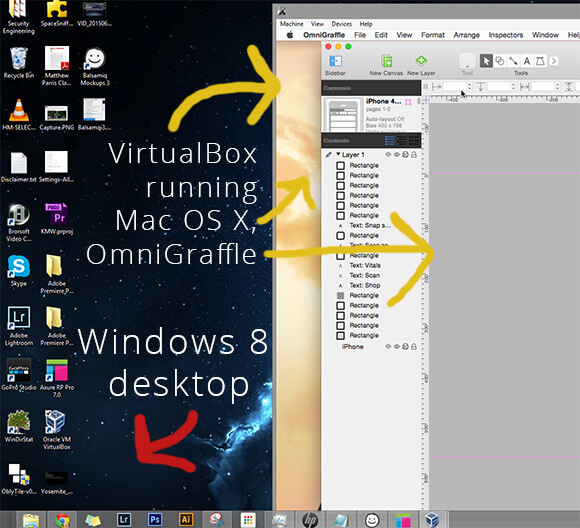 Once you've installed VirtualBox, but before you continue with the initial setup steps in the main guide, here is one extra thing I had to do. As stated in the intro, my processor is an Intel Haswell. If your PC is from 2013 afterwards, yours may be too. Problem being, VBox has to be 'tricked' in to thinking it's an older CPU to work properly. to get it to work properly. (I think it's the quotes around the VM name that are vital in the command). Also in VirtualBox settings for the Mac virtual machine, I tried upping the Processor count to two, but that made things worse - leave it at one. I upped the Video Memory setting to 128MB. Back to the main guide, I then followed it through setting up my Yosemite Zone virtual machine, and running the installer. And it worked AOK. A bit of command line work, but it's fairly straightforward. Back to the guide, I followed it up to Step 6 (their two notes about logging in as the root user, and ethernet things didn't apply to me). When you first log in to OS X Yosemite, the Hackintosh installer carries on for a little bit making things work just that little bit different (i.e. correctly) to a regular version of OS X (you'll see the notifications in the top right) so just wait while it does that. One of those things that happened with the install file I used is that it prompts me to apply the Mac App Store 'fix' (a workaround as the App Store doesn't recognise your Mac). I followed it and it was AOK, but involves removing the network setup from your Network Preferences, restarting the whole VM, and then once you're back in, you have to add the ethernet setup back in. I used the 'Assist Me' function, and in a jiffy the internet was back up and running just fine. I didn't have to do the network card altering in the VirtualMachine settings the main guide talks about. The two lines you change the Mac .plist file, I don't know if it makes a difference but I put them under the current lines. Again, ensure you run the command prompt as administrator, and I think close VirtualBox before the changes. The final thing was a little tweak to make the graphics run smoother. Shows you a nice little bonus step to ensure it runs smooth. The link for the BeamTool app is in the video description. That sums up my steps. There were a couple of extra hurdles and pitfalls to the main guide, but after the initial frustrations it was relatively straight forward, and on reflection something I would recommend. I hope this helps, and enjoy trying out OmniGraffle on Mac OS X to know if you really should fork out for an actual Macbook.